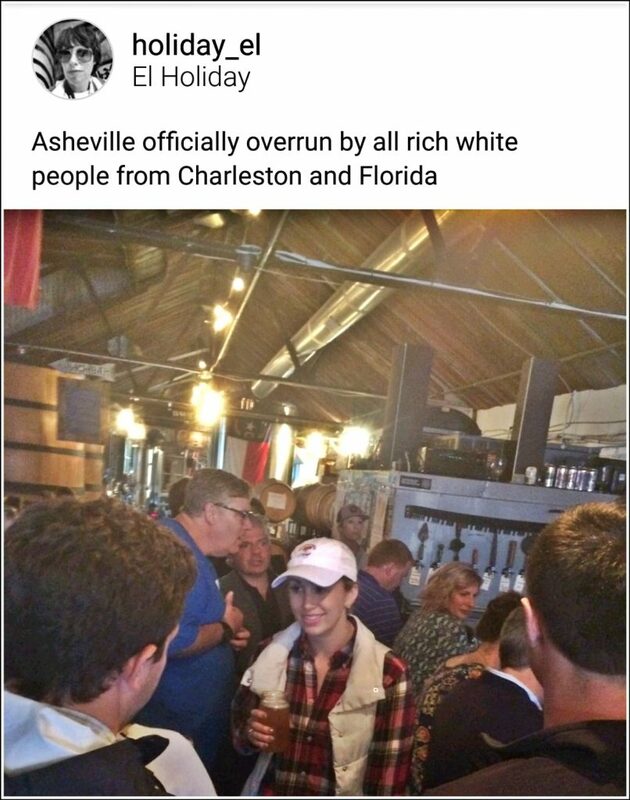 As Hurricane Matthew was headed to the coasts of Florida, Georgia, and South Carolina; many folks made an exodus to the mountains of Asheville North Carolina. Most people do not need an excuse to come to Western North Carolina, but it this case it was kind of mandatory to leave certain areas due to the storm, so what better place to go than Asheville?! We have lodging, food, beer, entertainment; and if the waters ever get too high here, we can always hike to the top of a mountain for safety. 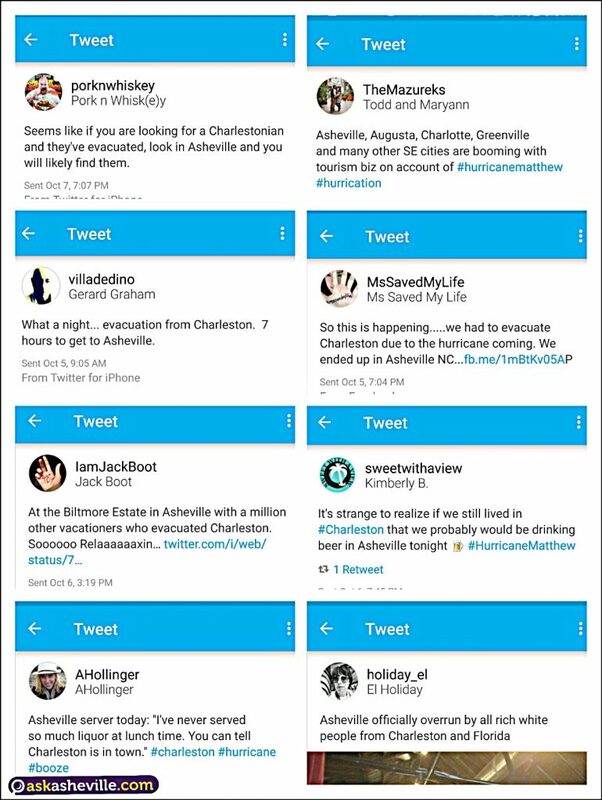 On the Asheville Twitter feed, you can see many people who have “ran away” from places like Charleston SC, Florida and several other locations to come to Asheville while Hurricane Matthew does its damage on the coast. I mean, what would you do if you escaped disaster and had a few days off? Eat, Drink, & Be Merry of course! And that is exactly what they are doing. 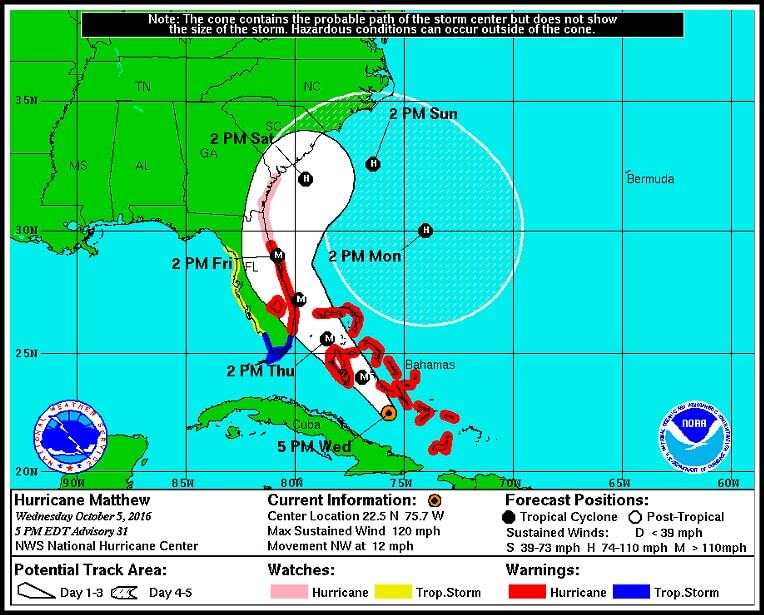 Hurricane + Vacation = Hurrication 2016. See the Asheville Foodie Community on Facebook for bunch of great places to eat. Read the 2016 Guide To Fall Leaf Season in Asheville, and enjoy your time here! Visit these 5 Asheville Breweries/Eateries in town. Watch a video about the true Asheville Community that we live in. Head over to the land of waterfalls, and take a Brevard Bites Food Tour. Check out the 10 Asheville Breweries Beer Tour Map. Eat at these 8 Asian Restaurants in the Asheville area. See these 8 Downtown Asheville Stops. Stop by Hendersonville NC, only 20 minutes south of Asheville. Visit these 10 Waterfalls near Asheville NC. Haha, thanks Amy! Ahhh yes Hendersonville is on the list too. It’s so packed in Asheville right now that I may run off to Hendo too!